Think about this: NASA currently spends billions of dollars each year on conducting scientific research on how living in microgravity effects biological organisms. The International Space Station has cost around $150 billion dollars to build and maintain, so far. But do we even need to conduct these microgravity experiments? Is that a worthwhile endeavor? I don't think so. And I'll explain why. 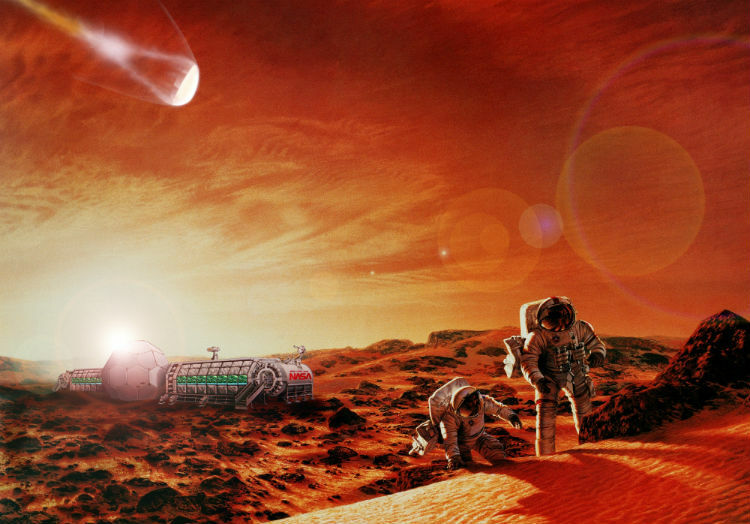 Imagine, if you will, a long-term goal for humanity to achieve with regards to space exploration and colonization. What do we want our far, far future to one day look like? There are a few different camps here. Camp 1 is the living-in-space camp. We'll call them Spacers. Spacers want the future to look like Star Trek—we build massive and expensive structures in space for us to live on, and we build massive and expensive starships for us to go around exploring the galaxy with. If we want to achieve that future, it makes sense that we'd first have to figure out how to live in weightlessness for long periods of time (until we can invent artificial gravity, which is probably a long way off). Therefore, it would make sense to study the effects of weightlessness now in order to understand how human physiology might be able to adapt (or not adapt) to our future zero-g space environment. 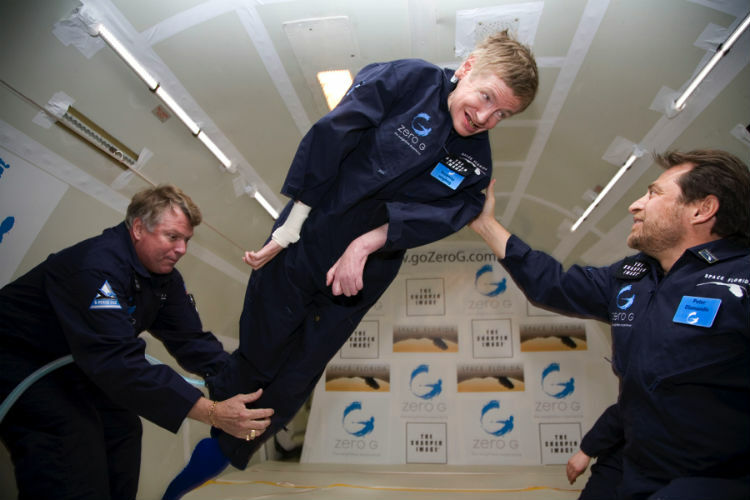 Here's Stephen Hawking training to make his spaceflight debut. Image: Huffington Post. But let's remember what those starships in Star Trek are actually exploring—the mission of the USS Enterprise is 'to discover new worlds and seek out new civilizations'. They're looking for species of intelligent aliens to establish contact with, probably with some sort of mutual economic gain in mind (you know, sort of like how we go into developing countries and trade low-interest bank loans in exchange for access to their natural resources). In fact, most of the population of the Federation doesn't even live on starships or in space—most of them live on planets not too unlike our own Earth. We forget that Star Trek only really shows us life in the Federation from the perspective of the Enterprise, which only makes brief stopovers on habitable worlds before once again moving on in search of some new world. They're not living in space because they want to live in space; they're there because they want to find more habitable planets to live on. And to do that, they've got to go exploring. Ever notice how often most of those characters discuss 'shore leave' and wanting to have a vacation on some exotic world? That's because humans naturally want to live in an Earth-like, habitable environment! What Spacers are missing is that nobody actually wants to live out their lives floating around in space—let alone walking around in a sterile starship environment, even with its artificial gravity and holodeck. Here's what Spacers want spaceflight to look like. But isn't this just another terrible 9-5 nobody wants to do? Image: Star Trek VI: The Undiscovered Country. This is why our current approach to space science is dead wrong. Space isn't a place you live, it's a place you move through—I'm sure the vast majority of people reading this would prefer to transit through space as quickly as possible in order to reach some destination that involves solid ground beneath their feet. Former NASA astronaut Scott Kelly plays with water droplets in microgravity. Image: NASA. An analogy here would be like having the ministry of transportation invest money in studying how remaining seated for long periods of time on long-haul buses effects human health. Their logic being that lots of people take long-haul buses, and if we're going to be spending so much time seated on buses, we should at least have a good scientific understanding of how long bus rides effect our physiology. Perhaps we could even figure out some strategies and techniques for minimizing damage done while transiting via bus (some suggestions may include getting up to stretch and/or walk around, and getting some fresh air at a rest-stop). But this is moronic. We don't need to figure out strategies for enduring long-haul bus rides. We need to figure out how to optimize transportation so that people don't need to take long-haul bus rides in the first place. Perhaps two ways to cut down on time spent sitting on buses is by investing in high-speed train infrastructure, or in affordable domestic flights. Make those two things quicker and more convenient and reasonably priced, and people will pay for the convenience of cutting down on their travel time. And hey, it worked—not a lot of people take long-haul bus rides these days, and the commercial airline industry is booming worldwide. Had we spent all of that money studying long-duration bus rides, it would have gone to waste, because long-duration bus rides are a dwindling phenomena anyways. If our goal is to live in space modules and live in colonies of microgravity Dyson Spheres or some other contraption, then sure, perhaps studying microgravity is a good idea. But the Spacers got this all wrong: nobody wants to live in microgravity. Just like nobody wants to take a bus-ride when they could just as easily take a plane, people would rather live on other planets than in the empty voids between them. And this brings me to the next camp. Camp 2 is the colonize-other-worlds camp. We'll call them Settlers. Settlers think the ideal future of humanity is one in which we've colonized other worlds in the Solar System - the Moon, Mars, eventually Ceres, and perhaps eventually the moons of Jupiter and maybe Saturn. A long, LONG goal here would be to completely terraform those other worlds - make their atmospheres breathable and habitable. But in the short-term (and by short I mean decades/centuries), a worthy goal for humanity would certainly be to establish human presence on other bodies in our Solar System. And that's why microgravity research is pointless. This looks way more exciting than playing with water droplets in microgravity. Image: NASA. The logic is there: the void of space is hard to live in and doesn't offer much in the way of resources. What makes more sense is to establish outposts on places that actually have resources we can use to keep the outpost running—and to expand that little outpost into a full-blown offworld colony. In a whole lot of ways, it would be far easier to eek out some sort of existence on another planet than it would in the emptiness of space. Settlers see spaceflight as just that—space flight. Not space living. We have airplanes that take us between continents—we don't have people living permanently on giant airplanes in the sky that never land and attempt to study the effects of permanent residence at 36,000 feet. That would be insane. And yet that would probably be a lot cheaper than what we're currently doing studying microgravity on the International Space Station. Instead of attempting to inhabit low-Earth Orbit, we should be focused on leaving orbit in favor of the surfaces of other worlds. 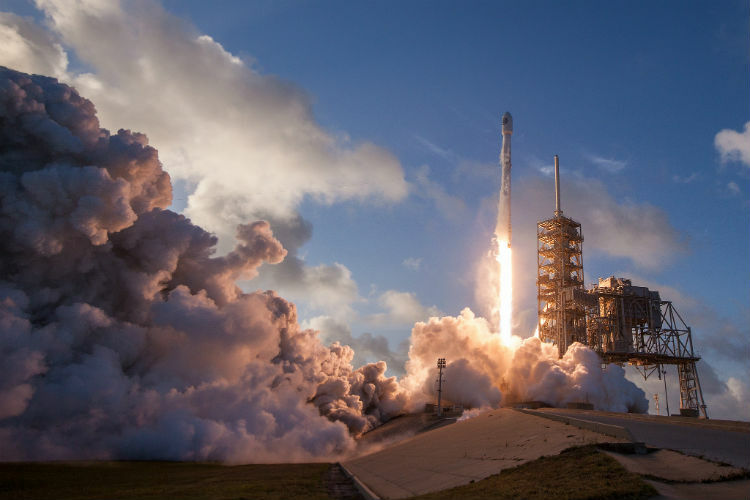 Settlers want to do just that—get rocket and propulsion technology to the point where we can get to Mars in 3-6 months, one-way. From there, that number could drop further: 2 months, 1 month, and so on. The issue here is not in figuring out how to cope with long-duration spaceflight and time spent in microgravity while transiting to Mars. The issue is actually getting to Mars in the first place. We need less space station and more rocket launches to the Moon and Mars. Image: SpaceX. From the Settler point of view, we're not looking to spend a whole lot of time flying through space. Nobody really likes flying; they just do it because they need to get somewhere. A large percentage of people who settle on another planet or Moon might only ever make one spaceflight in their entire lives. Others born offworld might make none. Perhaps only those who have good reason to would invest in making multiple back-and-forth trips between offworld colonies. So, those are the two camps, as far as I'm concerned. NASA's current approach seems to be that of the Spacer: invest in space infrastructure, create space habitats, live and work in space for extended periods of time. But I think the vast majority of everyday people are of the Settler mindset: we want to inhabit other worlds far more than we want to live for extended periods of time in zero-g doing laps around the Earth. Perhaps that's why NASA has such a huge disconnected with the public these days, and why private companies like SpaceX are making a hard push towards the Moon and Mars (with zero talk of building habitats in orbit). It's just unfortunate that we're currently investing all of this money perpetuating a floating space station that we don't really need, when we could otherwise be funding a journey to Mars (or even the Moon) that everyone really wants. Maybe it's not too late to correct course.